Actor who rose to fame through his role as Salar on the Pakistani drama series Sammi. He later landed a role on the show Yaqeen Ka Safar and made his Lollywood debut in the war film Parwaaz Hay Junoon (2017). He began his acting training in 2011. He worked professionally for two years in Canada before entering the Pakistani film industry. He is a stage actor who has appeared in productions of The Tempest and West Side Story, among others. He once received a critics award for Best Actor in a Musical. 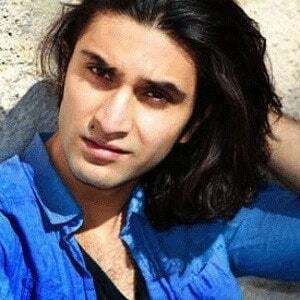 He is the son of famed actor and producer Asif Raza Mir. He appeared alongside Mawra Hocane on Sammi.